The last Thursday of January features one of the best TNT NBA doubleheaders of the season. Before the doubleheader, the NBA All-Star reserves also will be announced. On-court action tips off at 8pm ET from Toronto as the Raptors host the Milwaukee Bucks as 3-point favorites in what could easily be a preview of the Eastern Conference Finals – the Bucks and Raptors have the conference’s top two records as things stand and figure to stay there barring injury to either Giannis Antetokounmpo or Kawhi Leonard, respectively. Both were named All-Star starters, with Antetokounmpo one of the two captains along with LeBron James. 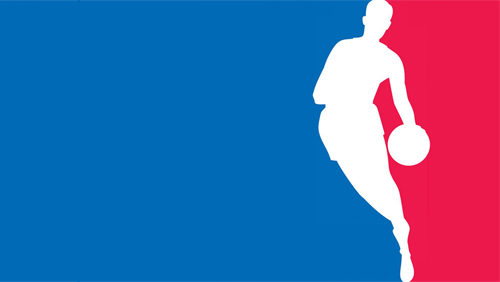 The All-Star “draft” is February 7. Thursday’s game is huge because it could decide the head-to-head tiebreaker and home-court advantage in a series should the teams finish with the same regular-season mark. Milwaukee is 2-1 against Toronto and thus would clinch the tiebreaker with a victory. However, the Raptors did win the most recent meeting and have won 10 consecutive home games overall by an average of more than 11 points. The Raptors’ last home loss? December 9 against the Bucks. The underdog has covered the past six in this series. The nightcap features the Philadelphia 76ers as 10-point underdogs at the Golden State Warriors in a potential NBA Finals preview. The Warriors are heavily favored to get back to the Finals, but the 76ers are behind the Bucks, Raptors and Boston Celtics on the Eastern Conference futures. It’s the first meeting of the season between the franchises and Philadelphia’s last-ever visit to Oakland. Of course, the Philadelphia Warriors moved to San Francisco in 1962 before the Warriors moved across the bay to Oakland nearly a decade later. They will move back to San Francisco next season. Three All-Star starters feature in 76ers-Warriors in Philadelphia center Joel Embiid and Golden State’s Kevin Durant and Steph Curry. The Warriors have won the past 10 in this series and bring an NBA-high 11-game winning streak this season into Thursday, outscoring foes by more than 17 points per game during the stretch. It’s the sixth straight season the Warriors have had a winning streak of at least 10 games, tying the San Antonio Spurs (2010-16) for the NBA record. Thursday also will be the Warriors home debut of former All-Star center DeMarcus Cousins. Golden State has covered just three of its past 13 at home.